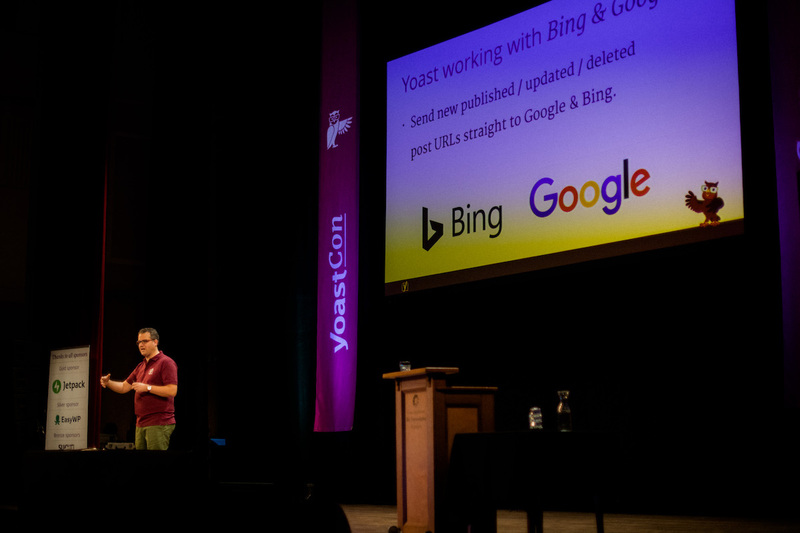 As we announced at YoastCon, we’re working together with Bing and Google to allow live indexing for everyone who uses Yoast SEO — free and premium. In the coming months, we’ll allow users to connect their sites to MyYoast, our customer portal. After that we’ll roll out live indexing, which means every time you publish, update, or delete a post, that will be reflected almost instantly into Bing and Google’s indices. You will not need to connect your site to Bing Webmaster Tools to do this. It’s all handled automatically. For Google, the details on this are not entirely determined yet, but a Google Search Console account will probably be required. Great job. You guys are really awesome. This is the one reason why ilike this plugin. That’s fantastic news guys! Thanks that you will also make it free. I am looking forward to it. Keep up the great work! Any information on this would be highly appreciated, thanks! Awesome! Will we still need to do a 301 if we delete a post? Pretty amazing stuff Joost. I still have old content indexed in Google even though the pages are long gone. With live indexing, alterations like structured data for rich snippets should be update sooner too I would guess. That’s great news. A big cheers to Team Yoast. But I have a question. When I am editing a blog post or a page, there will be a frequent number of times I will be hitting the update button. Will it send an update to Google and Bing every time? I am editing my pages pretty often and prefering to send it manually to Google Index through search console. Kinda late but really excited for this ! Great work. Nice to have that instant update. Very excited about that great work! This sounds like a brilliant step forward, you could only expect something like this from Yoast! Like many other site owners I assume, I get practically no traffic from Bing. If this does make a difference, it could be really good. Of course when you get Google on board as well, the sky is the limit. Just wow. This is great. Does this apply to the free version of Yoast or will you need a subscription ? It will be available for everyone who uses Yoast SEO — free and premium! Sounds awesome, but is this going to be “everyone who uses Yoast SEO” or “everyone who uses Yoast SEO Premium”? For everyone who uses Yoast SEO, both free and premium! Congratulations, this is amazing! Don’t know if this suggestion makes sense but to prevent too many update requests (e.g, when someone is re-editing one post after publishing it), what about a custom setting to allow users define when search engines should be informed about the update (how many minutes later, so to speak)? How exciting! 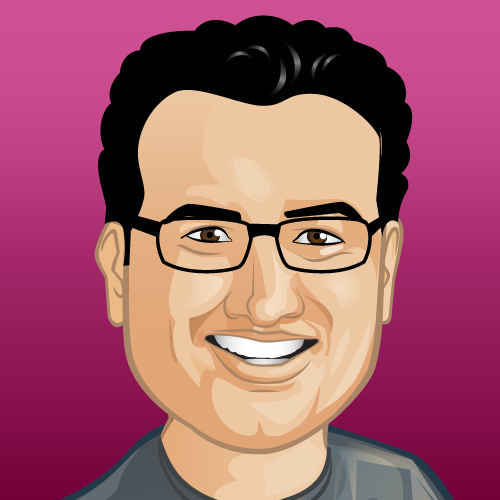 I’ve just signed up for MyYoast. Yay! Amazing I am waiting for this. It will be good if it will be free in starting, can you tell us about this ..? Wow that’s amazing feature. but tell me about this. its on free or paid version. That is wonderful news. This is going to make life so much easier for those who don’t want to spend too much time on SEO but want to focus on creating new, interesting content on their websites. Very nice move. It will help users in getting the site indexed without using Bing webmaster seperately. Yay!! This is amazing news! This is going to be a very good development. I hope it’s not going to be restricted to only the premium users. Nope, for free as well! 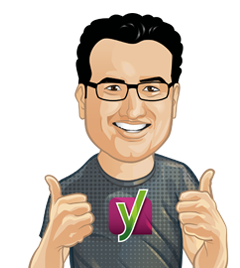 I’m waiting for the incredible features in Yoast SEO i hope you will do it. 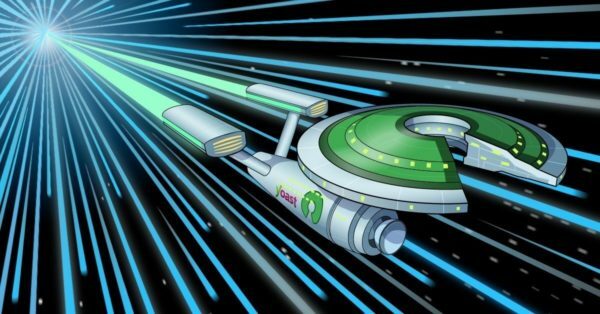 Really, It is going to be very useful for optimization and tracking website performance through a single plugin like Yoast. Very excited to know more about this. Thank you for sharing this, especially the tip about Arnold Overwijk having a live discussion on Friday. Live indexing sounds like a good SEO tool to have. What is your experience of how long it usually takes Google or Bing to “accidentally” come across a new site? I.e., how much advantage will be gained by having the live indexing feature? We do allow those to be indexed, we’ve changed that behavior because otherwise their indexing slows down, by a lot. See this post for a deeper explanation.